Careless, James Maurice Stockford. "Responsible Government". The Canadian Encyclopedia, 13 December 2017, Historica Canada. https://www.thecanadianencyclopedia.ca/en/article/responsible-government. Accessed 18 April 2019. Responsible government refers to a government that is responsible to the people. In Canada responsible government is more commonly described as an executive or Cabinet that is dependent on the support of an elected assembly, rather than on the monarch. 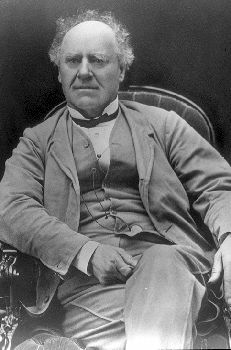 The Nova Scotian patriot par excellence, Howe could use his oratorical powers to influence his compatriots as no other man has ever done (courtesy Library and Archives Canada/C-22002). For the Earl of Elgin responsible government was the best way to solve the political strife in the Canadas. Aquatint signed by the earl (courtesy Library and Archives Canada). Baldwin was the first popularizer of responsible government and one of the first proponents of a bicultural nation (courtesy Metropolitan Toronto Library). Responsible government refers to a government that is responsible to the people. In Canada responsible government is more commonly described as an executive or Cabinet that is dependent on the support of an elected assembly, rather than on the monarch. It originated in Canada in the 1830s and became an important part of Confederation. It’s the method by which Canada achieved independence without revolution. The origins of democracy in Canada can be traced to the development of representative government. This form of government means that laws are made and taxes levied by a body that has some accountability to the citizens it governs. The first elected assembly in what is now called Canada was held in Halifax in 1758. Prince Edward Island had an elected assembly in 1773, New Brunswick in 1784 and Newfoundland in 1832. Upper and Lower Canada received assemblies in 1791. In popular use, responsible government refers to a government responsible to the people, not to the monarch or their representatives. In Canada, it technically means a government responsible to the representatives of the people — an executive or Cabinet collectively dependent on the votes of a majority in the elected legislature or Parliament. The key principle of responsibility is that a government needs the confidence of Parliament to create laws and taxation. It originated in British practice. Its transfer to British North America (BNA) gave the colonists control of their domestic affairs. Before its arrival in North America, colonial governors would just follow the advice (i.e., policies) of colonial ministers in Britain. The idea of responsible government in British North America was taken up in the 1830s, largely by admirers of the British model. Their goals were to resolve the discontent felt by many colonists towards the small groups of powerful, local elites who controlled the colonial governments, and to keep the colonies securely, though freely, within the British Empire. 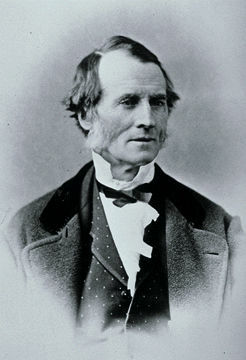 Radical reformers such as William Lyon Mackenzie in Upper Canada and Louis-Joseph Papineau in Lower Canada, preferred American-style political systems. 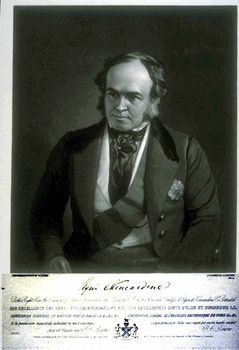 But more moderate reformers such as Joseph Howe in Nova Scotia, Robert Baldwin in Upper Canada and Lord Durham, an influential advocate of responsible government, argued for the British model. 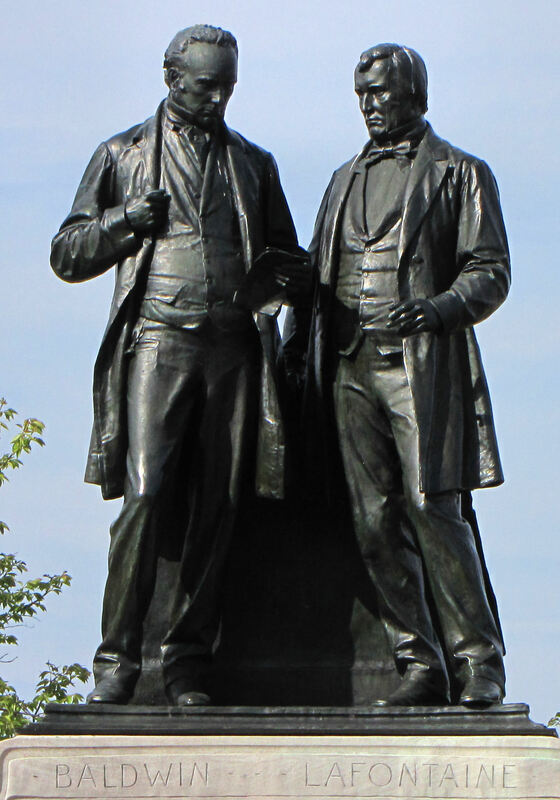 They, and later Lord Elgin, believed that an organized party system — whose leaders held seats in the legislature and answered directly to it — was vital to good governance. 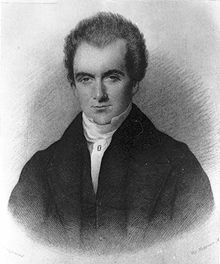 Howe in Nova Scotia, along with Baldwin and Louis LaFontaine in the Province of Canada (the unified Upper and Lower Canada), built up strong, moderate reform parties to gain responsible government. It was achieved first in Nova Scotia, in January 1848, and later that year in the Province of Canada. It then was granted to PEI (in 1851), New Brunswick (in 1854) and Newfoundland (in 1855). The western provinces developed responsible governments as they were created and joined Canada following Confederation. This control of government was increased by degrees, so that Canadians gradually acquired command of their own political concerns and achieved national self-direction without revolution. Originally, only a small group of privileged men and property owners could vote for the elected assemblies. The franchise, or right to vote, was expanded slowly and in 1918 women received the right to vote in federal elections. It wasn't until 1940 that all Canadian women had the right to vote provincially, and not until 1960 that aboriginal Canadians won the right to vote in federal elections without giving up their treaty rights. Responsible GovernmentWatch the Heritage Minute about the concept of "responsible government" from Historica Canada. See also related online learning resources. Representative Government/Responsible GovernmentSee this online legal dictionary for concise definitions of “representative government” and “responsible government.” From the People’s Law School website. A Note on The Meaning of Responsible GovernmentAn article that examines various definitions of the concept responsible government. From the Parliament of Canada.